The housing crisis of a decade ago turned home prices and people’s futures upside down. While the nation rebounded and the Seattle area launched into a historic economic revival, some homeowners found themselves facing foreclosure. Here are the stories of four women who fought to save their homes — and found a common cause. 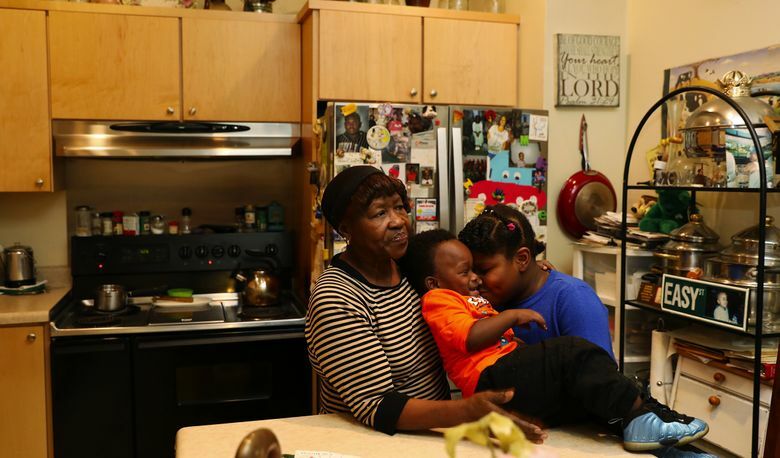 THE OLD SAYING goes, “It takes a village to raise a child.” Dixie Mitchell raised a village. Nine children with her late husband, Luster Mitchell. 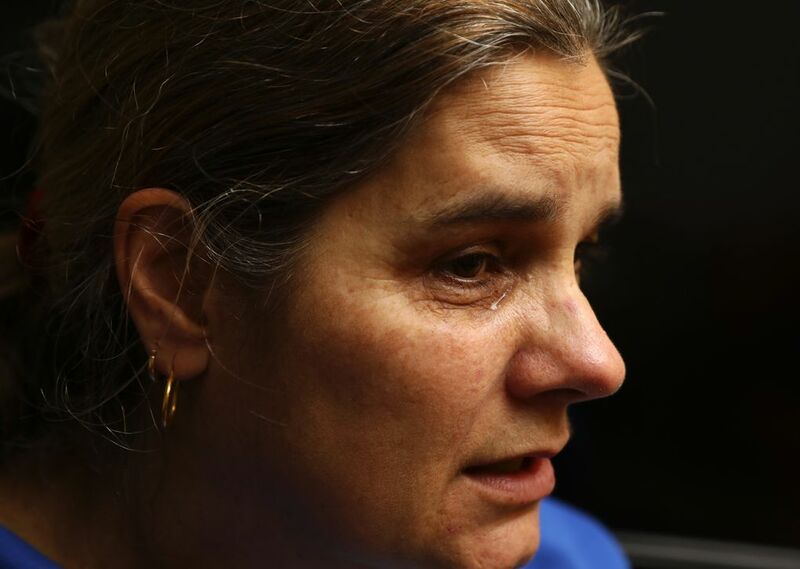 More than four dozen foster children she treated as her flesh and blood. 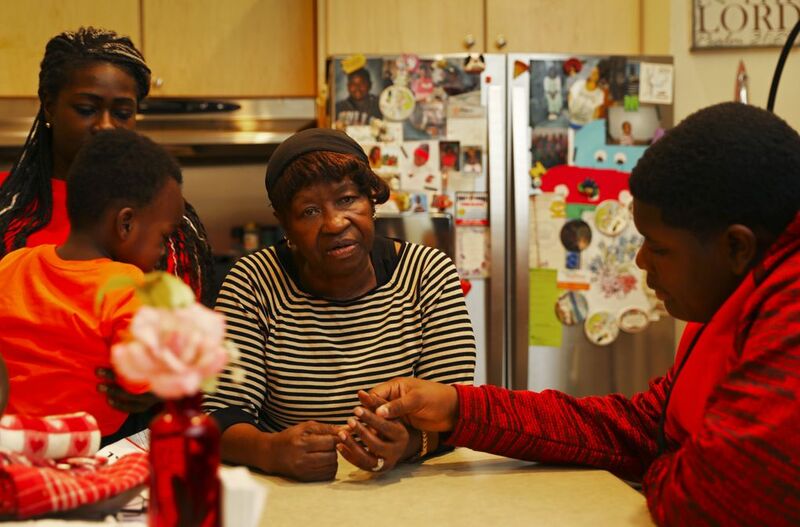 The life of their house in Seattle’s Central District can be measured in milestones — births, arrivals, first days at school, graduations, marriages, grandchildren and grandchildren’s children. It has been 50 years since she and Luster purchased their big fixer-upper for about $15,000. 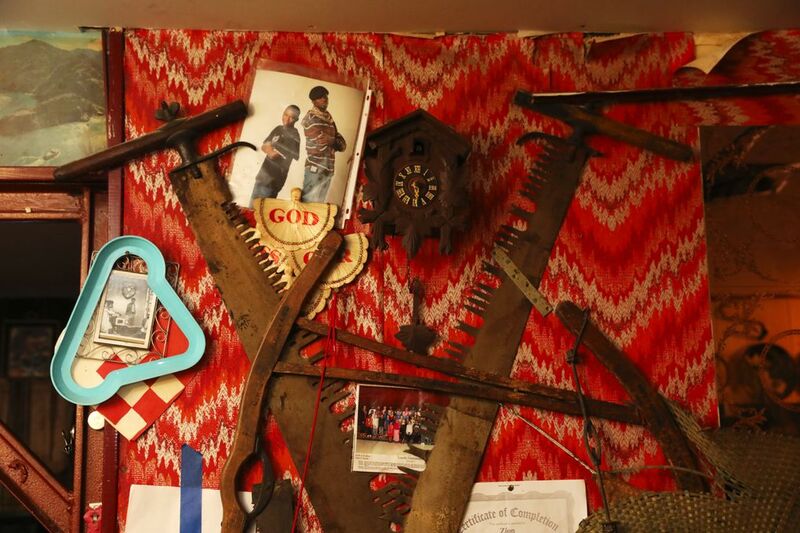 Memories hang on the walls like ivy in the form of family photos, knickknacks and old tools from Luster’s days building railroads and doing projects around the house. They’d borrowed money to do expensive major improvements, using their home as collateral. The mortgage crisis that started in 2007 and led to the economic collapse of 2008 couldn’t have come at a worse time. 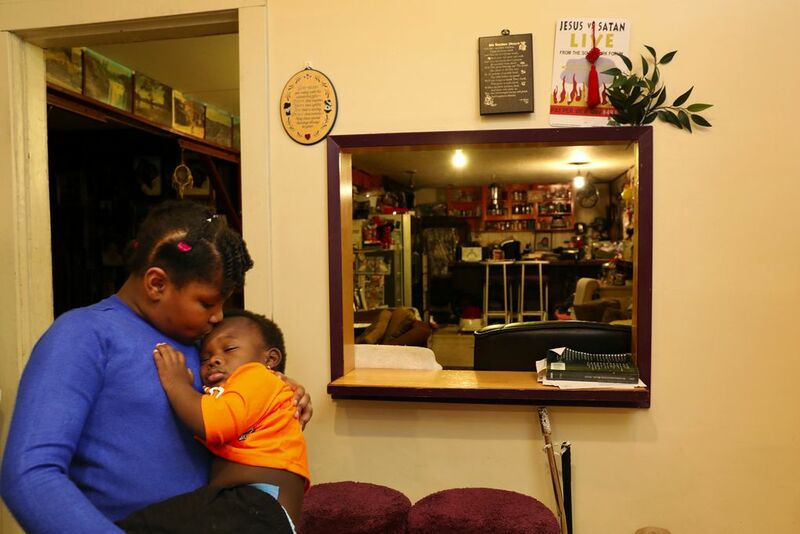 Luster suffered a paralyzing stroke in 2009, leaving him unable to work and the family struggling to make loan payments, which would eventually balloon by hundreds of dollars a month as the couple scrambled to fend off foreclosure. “It went downhill from there,” Mitchell says one night in her kitchen, as great-grandchildren go back and forth to the add-on den that Luster built himself, in part with salvaged railroad iron. Mitchell is 77 and petite but with a penchant for punching above her weight class. She believes developers and banks simply wanted lower-income homeowners like her out of the fast-gentrifying neighborhood. She shoved back, publicly campaigning against predatory lending practices. “I just went up on the corner and started walking around with signs,” she says. Fueled by credit-default swaps, overextended households and pure greed, the housing crisis of a decade ago turned home prices and people’s futures upside down, literally reversing fortunes. Some ZIP codes in the three-county metro area experienced staggering foreclosure rates of 15 percent to 30 percent between 2008 and 2014. But while the nation rebounded and the Seattle area launched into a historic economic revival driven by tech hiring, homeowners locked in the hamster wheel of personal financial devastation kept spinning, unsure how to hold on to their properties and maintain their mental health as bills piled up and foreclosure notices poured in. African Americans, Latinos and single women over 40 disproportionately carried the burden — and stigma — of the crisis. Dixie Mitchell, Chettie McAfee, Vera Johnson and Betsy Andrews all faced foreclosure in this time. They shared stories of humiliation, reckoning, defiance and overcoming, offering an inside perspective on the human toll taken by a downturn that tended to be described in terms of dollars and cents, value lost and gained. All four joined forces with movements and organizations that advocated for homeowners who had defaulted on their mortgages and were at risk of losing their homes. One of the most prominent of those is Seattle-based Washington Community Action Network — Washington CAN! — which staged protests at public foreclosure auctions and at banks to keep attention on the crisis even after the Puget Sound region technically bounced back. They also worked with homeowners and newly risk-averse banks dealing with huge foreclosure backlogs to negotiate more affordable loan terms. “IT ONLY TAKES one significant event to turn your life upside down — it’s like a house of cards,” McAfee says when we meet at the Central Area Youth Association, a nonprofit where she volunteers and started a youth coding program. McAfee, 61, displays a hard-won good humor in person. The mortgage crisis twisted her in knots. But in a strange way, it also empowered her. Worried about her mother’s emotional well-being, McAfee had tried for years to establish a home-based senior-living facility to give her mom a social outlet. 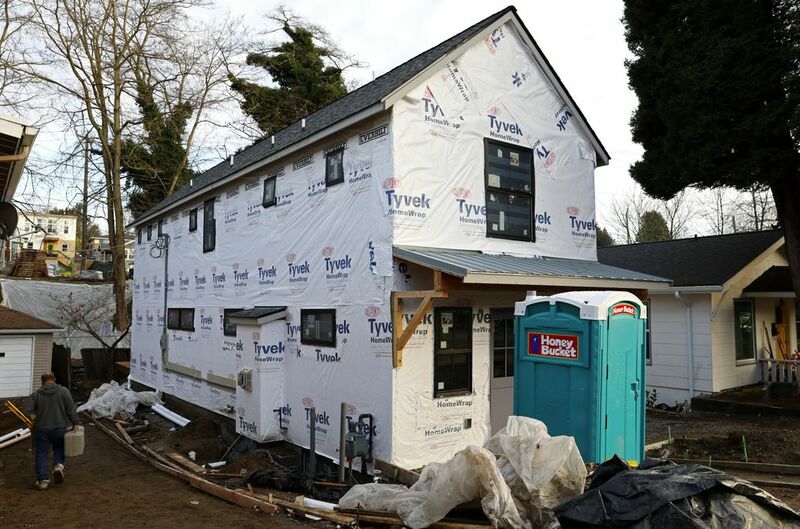 Her plan finally looked promising in 2007, when she found a house in South Seattle large enough for them to share while renting the other rooms to seniors. It was a dream come true — six bedrooms, a view of Lake Washington, a yard out front and a fountain in back. Then the mortgage crisis hit. Soon after, in quick succession, her mom died, and McAfee was laid off in a company restructuring. McAfee believes that as a veteran employee, she was the victim of age discrimination. Life was falling apart. “It was the first time in my life that I couldn’t cope,” says McAfee, who’d also suffered a work injury that required surgery around this time. The stress drove her into a depression, but she couldn’t afford counseling. McAfee drew from savings to keep up with mortgage payments. In 2009, she sought a loan modification. The bank told her it couldn’t help until she missed three consecutive payments, which would have plunged her into default. Always a careful financial planner with good credit, she was stunned by the suggestion. “I wasn’t controlling my life anymore; it was controlling me,” she says. McAfee followed the lender’s advice. The result was a nightmare of foreclosure notices, negotiations and “reams and reams of loan-modification documents” that seemed to amount to nothing. Her mortgage kept getting transferred to other banks, adding to the messy paper trail. She sought permission to short-sell the house but was told the buyer’s offer was too low. She’d work to keep her house while helping write loan-modification requests and legal briefs for other distressed homeowners. A video from 2013 provided by Genese shows McAfee inside a bank lobby reading a letter to a manager detailing her frustrations and calling on the bank to do right by her. The manager tries to get McAfee to speak in private, before warning her and a group of supporters they’re trespassing. “I just picked up my briefcase and started reading louder,” McAfee recalls. All along, McAfee felt she was getting the runaround and even sued for negligent and deceptive behavior. She lost the case, and the house, in 2014. Genese, who helped arrange a number of bank-branch encounters, noticed a change in McAfee and others along the way. McAfee’s trying to stay positive. VERA JOHNSON AND Betsy Andrews took their foreclosure activism all the way to the nation’s capital, where they joined a protest and got arrested in front of the U.S. Department of Justice in 2013, spending a night in jail. Johnson, 48, now lives in New England. Previously, she and her family lived in a house in Southwest Seattle, where she also ran the Village Green Perennial Nursery on 2 acres she had painstakingly restored and fought to protect from development. She also held gardening workshops and hosted international travelers through a farming mentorship program there. Speaking by phone, Johnson, a single mother of a 20-year-old and a 16-year-old, says things unraveled after her divorce from her husband in 2010. Trying to manage mortgage payments during an economic collapse that pummeled her home’s value became a confusing, Kafka-esque ordeal. Johnson says she too requested a loan modification, but the bank denied her for the same reason as in McAfee’s case. For 18 months the bank lost documents, requested duplicate materials, flaked on scheduled phone calls and even blocked her from making payments in order to trigger a default, she says. Johnson went public and raised more than 15,000 signatures in an online petition. She finally won a principal reduction in 2011. Johnson says her loan was sold to another financial institution, which started sending intimidating late notices. Johnson maintains she always paid on time and can prove it. She suspected lender fraud, as well as negligence by an attorney. 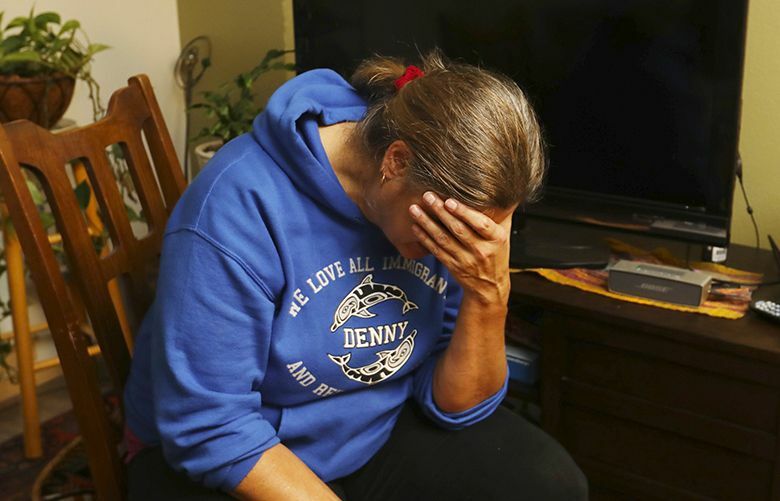 Twice, she had resorted to filing for bankruptcy to halt imminent foreclosure auctions. It worked the first time but not in the second instance, in 2016. Johnson managed to scrounge up enough money to cover past-due payments, then sold the house in October of that year to keep from losing it in a foreclosure auction. 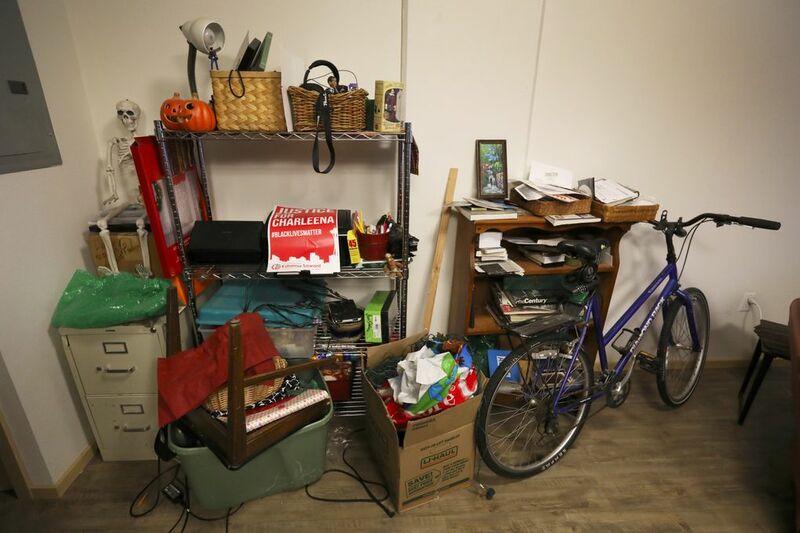 ANDREWS, 58, LIVES in a reduced-rent studio with her border collie Zora and works as an instructional assistant at a Seattle middle school. In 2003, she bought a cottage in the Admiral neighborhood of West Seattle after a divorce. The house would be a home for her and her son, who was in the seventh grade, as well as her nest egg. “My house had a name — Chez Betsina,” Andrews says when we meet in downtown Seattle. She displayed a sign with that name on it so everyone could see. Andrews refinanced her mortgage in 2006, this time opting for a riskier, interest-only, variable-rate loan. Then in 2008, as the economic collapse gathered steam, her father died, and her ex-husband, who was helping to support their son, went on strike at Boeing. Andrews’ household income dropped sharply, making it hard to pay the mortgage. 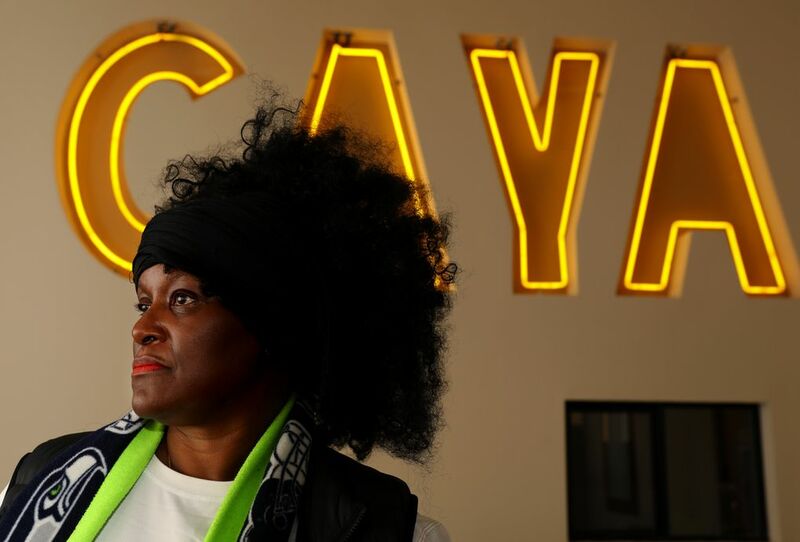 To save the house, she filed for Chapter 13 bankruptcy, which halted foreclosure proceedings and allowed her to keep paying her mortgage through garnished wages. But in 2012, Andrews was laid off. With no paycheck to draw funds from, the bankruptcy was dismissed. Andrews was back at square one, at risk of foreclosure. As the job market slumped, Andrews bumped along with short-term teaching gigs, withdrawing from her retirement savings to make ends meet. She signed up for welding classes, thinking she’d switch careers. Medical bills from an illness in 2013 compounded her hardship even as she fought to relieve other homeowners of theirs. She was at her wit’s end by early 2016, as foreclosure seemed more certain. “When they foreclose on you, they post it on the outside of your house,” Andrews says of the legal notices attached to distressed properties. Her private financial disaster would be evident to anyone who passed the house. The “Chez Betsina” sign wasn’t a source of pride anymore. She chucked it over the blackberry bushes in her backyard. “I just felt like I had no control over my life,” she said recently in a text exchange. She sold the house in December 2016, days before it was scheduled to be auctioned, clearing her debt. “I thought I was gonna stay there forever, but things don’t always work out,” Andrews says. “I’ve got my dignity,” at least. Andrews still slips and calls her former home “my house,” but she can’t bring herself to drive by the property. She hopes to renew her teaching certification to qualify for a better-paying job, but she doesn’t believe she’ll be able to retire at 65. “Our culture is, once you stumble, it just cycles — one thing after another,” Andrews says. “I don’t show up in statistics anymore because I’m employed. But I’m way underemployed now. Andrews says her students offer an emotional refuge from the grief and regrets associated with losing her home. Her other savior has been the connections she’s made as an activist. She remembers participating in a demonstration at a public foreclosure auction and breaking down in tears over the spectacle of people’s dreams, not unlike her own, picked over and purchased by the highest bidders. Genese says his group helped secure loan modifications for five homeowners and slowed the foreclosure process for dozens of others to help them recover. His biggest regret is that they couldn’t keep more people in their homes. Two of the five homeowners they helped eventually lost their properties. 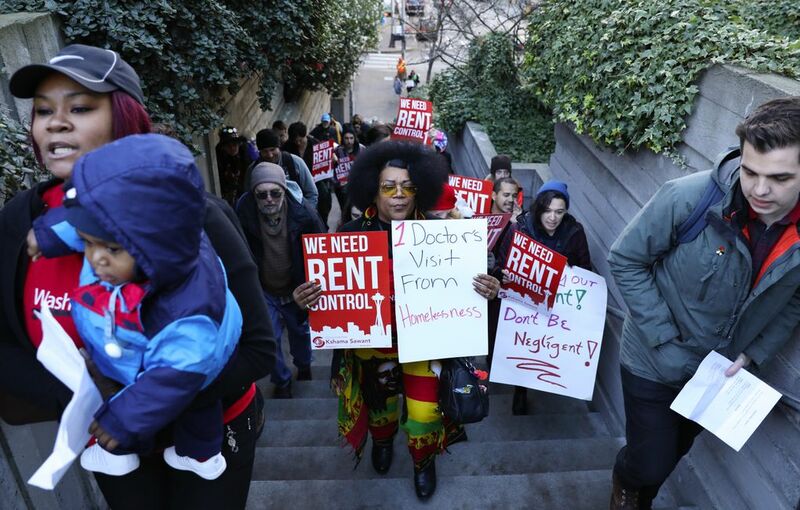 With soaring rents and gentrification front-and-center, Washington CAN! 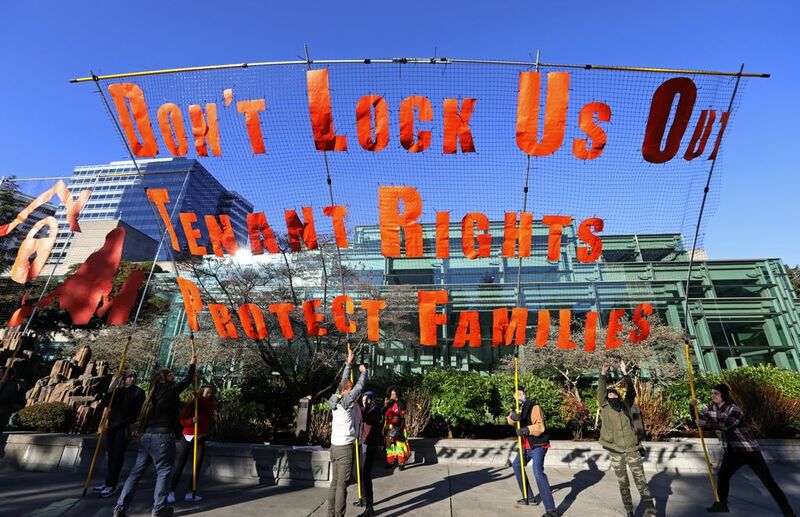 now focuses on pushing for renter’s rights, including policies to protect renters from excessive fees and unfair evictions. KILDARE, TEXAS, said goodbye to Dixie and Luster Mitchell, and their three children at the time, in 1962. “We moved from Texas because it was so Jim Crow,” Mitchell says of her migration to Seattle. As a black child in the South, she attended segregated schools. 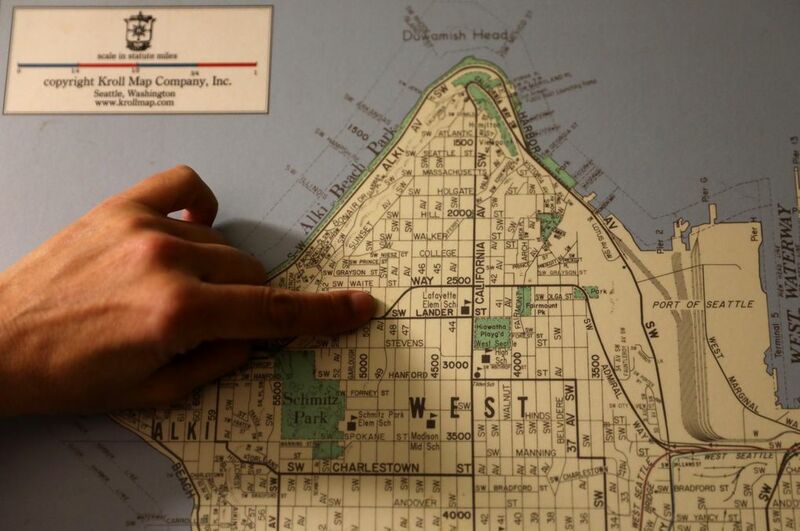 In soft-spoken Seattle the couple discovered subtler forms of racism, such as redlining, a practice by lenders and real estate agents to keep black homebuyers out of white neighborhoods, effectively confining them to the Central District. The couple held on for decades as the largely black CD turned majority white. Then came the mortgage crisis and subsequent publicity as Mitchell, a former Boeing worker, took on the role of activist, even appearing alongside then-Gov. Christine Gregoire. Mitchell staged protests and news conferences on her lawn. 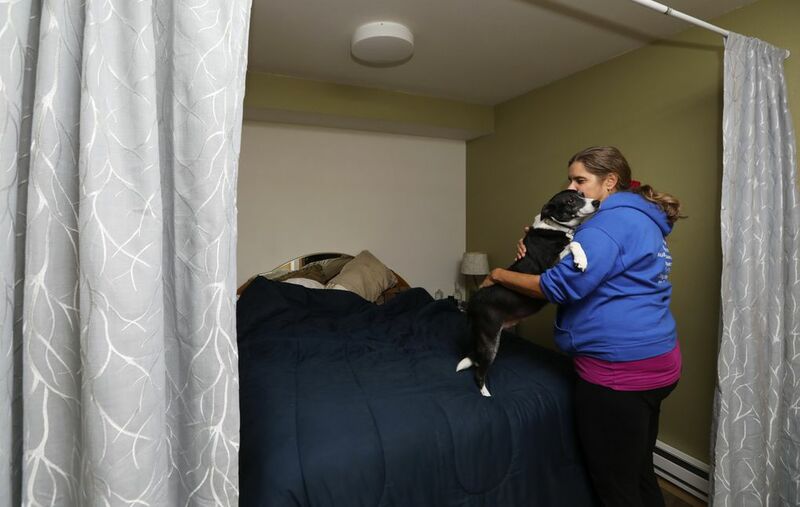 She lay in the street to keep an ailing West Seattle man from being forcibly removed from his foreclosed home. She shared her plight on MSNBC as a face of the foreclosure crisis. Through it all — including the successful treatment of her cancer in 2010 — Mitchell says she and Luster paid what they could on the loan, with the rest going to essentials for the family. Her plight swelled into a nationwide campaign, but there were critics, who spread rumors about how the couple came to be tens of thousands of dollars behind. “It was stressful — being a person that didn’t do anything but go to church and try to take care of kids and have people calling you all sorts of things,” she says. In October 2011, while holding a demonstration in her front yard, she took a phone call while everyone watched. After much stonewalling, her bank was ready to modify her loan terms. Mitchell thanks God for answering her prayers about saving the house (with a lot of Earthbound assistance), days before a scheduled auction. Paying the bills on her fixed income, with relatives pitching in, continues to be a struggle, though. Luster died on New Year’s Day 2017, a little over a year ago. He would have turned 83 this month. Mitchell says her husband was proud of her for fighting but not surprised. “He knew that I don’t take no crap,” she tells me.